You should know about the organization for which you are going to be appear in the interview. 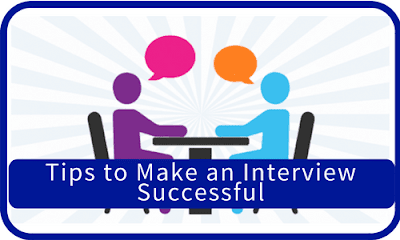 Prepare some general questions asked during interviews. Common questions are generally related to job responsibilities. Search all the general questions and prepare your responses. Employers are never interested in one word or one line answers. So avoid giving simple yes or no answers. Always prove your point and for this, you can give some reasons or examples to elaborate your answer. For instance, a question can be are you good in team work? yes, I do. When I was in my college, I indulged in many team projects. I learned a lot from my teammates and enjoyed working in a team. You have to provide examples of your accomplishments but remember to keep your responses to the point. Irrelevant and very long answers can bore interviewers. Interviewers purposely ask questions about your previous job or study experiences. Never talk negatively about your previous job, colleagues and company. This can show negativity in your attitude. Just remember this interview is about your skills and experiences. Tell about the things you have learned as you have to prove you are the right candidate for the job. Be Confident during an interview. Confidence is important to speak fluently and to express your idea clearly. Maintain eye contact while talking as this reflects confidence. Dress up according to the organization and its culture showing the most professional appearance. Wear clean and pressed clothes and keep jewelry and accessories to a minimum. There is no excuse for arriving late on the day of the interview. Arrive fifteen minutes before your interview to get settled and you can also use this time to complete additional paperwork. Arrange your documents in an order one day before the interview. You should not get confused in finding any particular paper. If you have to get a print out of some call letter, then do it a day before.